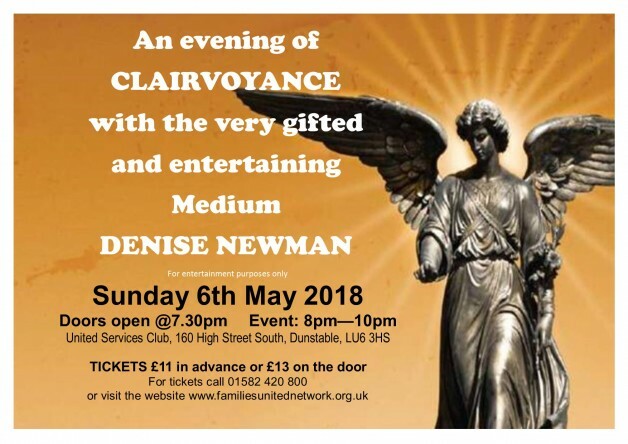 Come and join us for a mystical Clairvoyant Night with the very gifted and entertaining medium Denise Newman. The evening will be very interactive, intriguing and entertaining. Tickets £11 in advance or £13 on the door.